I have to say it can’t be officially Spring until the tulips arrive! No matter where you live, it just seems like Spring is “official” once you spot the gorgeous cup-shaped blooms of brilliantly colored tulips swaying in the breeze. Tulips are one of my favorite spring flowers and in-part it is because you never know exactly what you’re going to get. You might study catalogs, box packaging or garden books and magazines planning exact color combinations for your garden. Then go through meticulous planting to construct the color schemes and still, come Spring, you may be in for a surprise. The surprise can come in many forms such as completely different hues and tones than expected, taller, shorter, bigger, smaller, nothing but leaves and more. 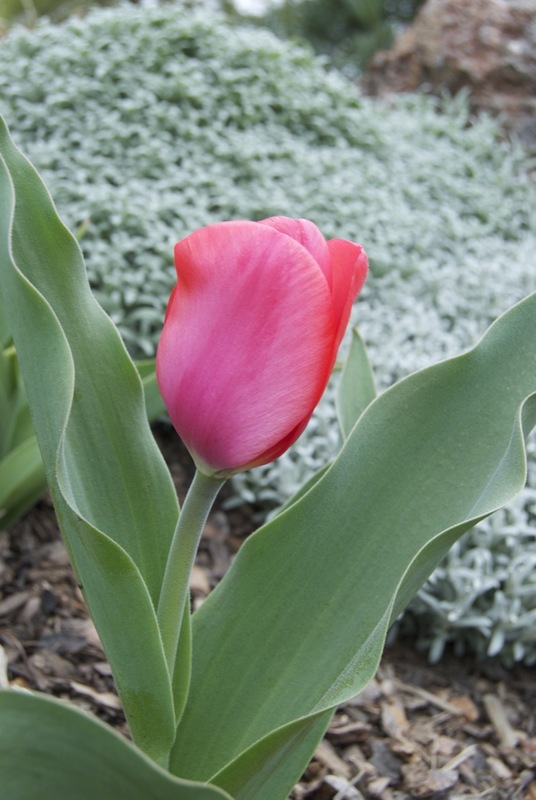 Tulips are for those that don’t mind a little irregular contour in their garden. For unlike Daffodils that come up the same every year, standing at attention in their beautiful structured manner, tulips (especially the blooms) seem to arrive haphazardly. At times they dish out a helping of flora eye-candy that cannot be ignored by even the densest non-plant people, other times they present barely a smattering of color like droplets of paint on a monochromatic green-leaf canvas. 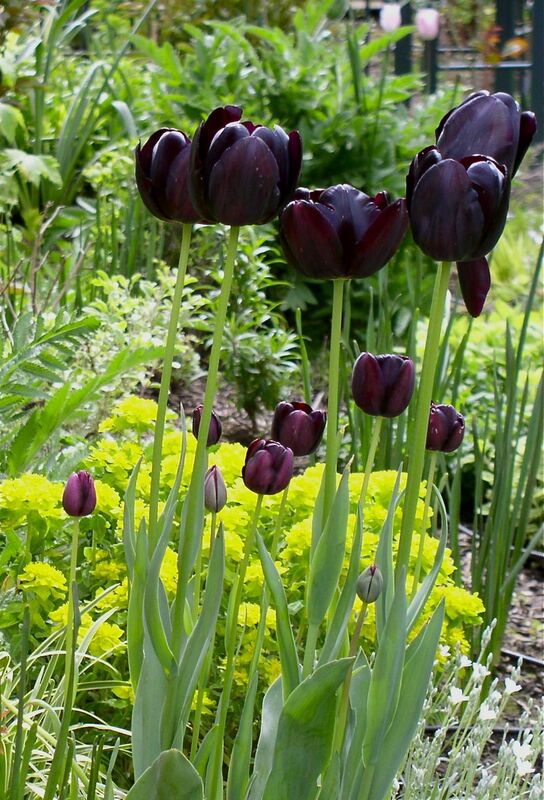 For me, the decadent color tulips can provide and their ability to mix smoothly with some of the backbone textures of the garden are worth the risk of the unknown. 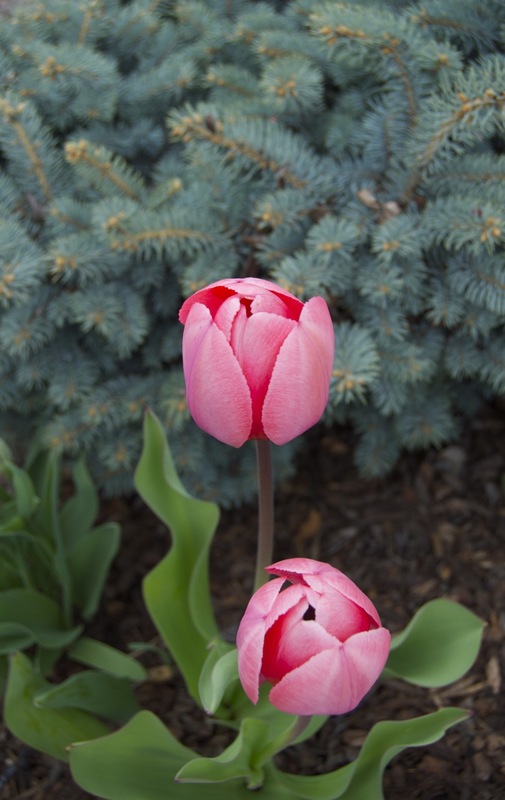 Tulips harmonize and highlight so many other textures in the garden creating a visual tapestry that could not exist without their velvety smoothness and intense hues. 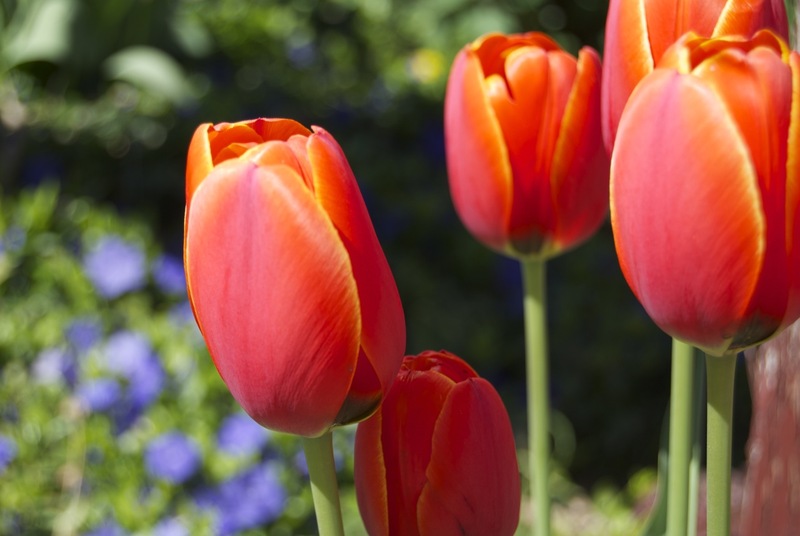 Tulips have been tantalizing humans for hundreds of years as they were found in Asia in 1554. They are native to Turkey, Iran, Syria, and parts of Asia and are one of the largest members of the lily family. 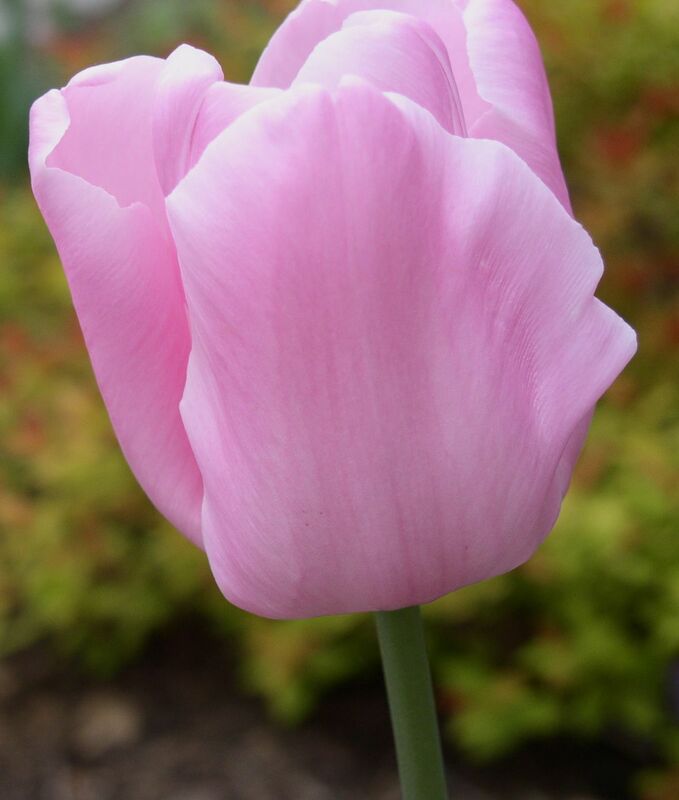 There are more than 100 species of tulip flowers. Holland has been the main breeder and supplier of new cultivars since the 1600s. 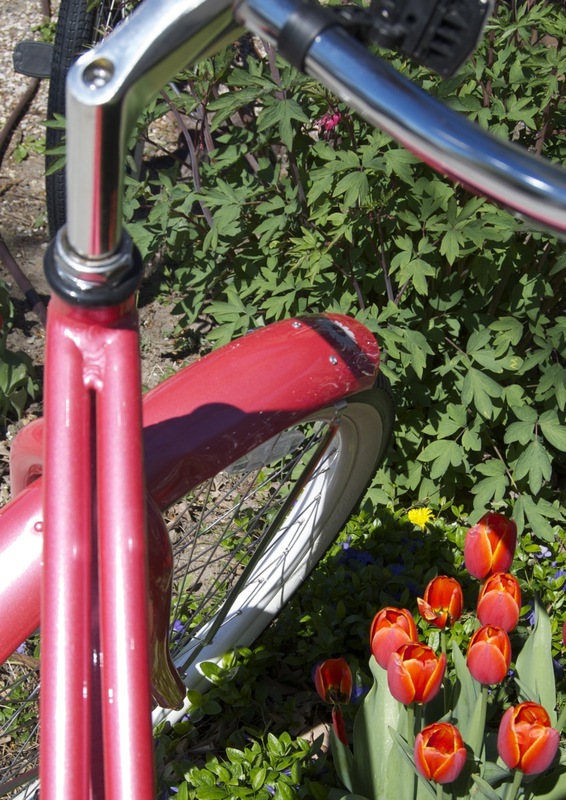 So, it’s no wonder Tulips can even mix with the strong steel of a sturdy bike. 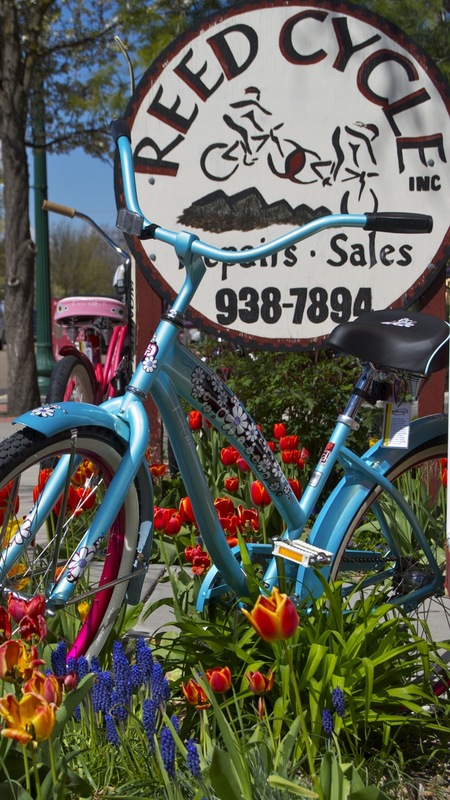 And don’t you agree, no bike shop should be without tulips in Spring. Glad my local bike shop gets it! How about you? 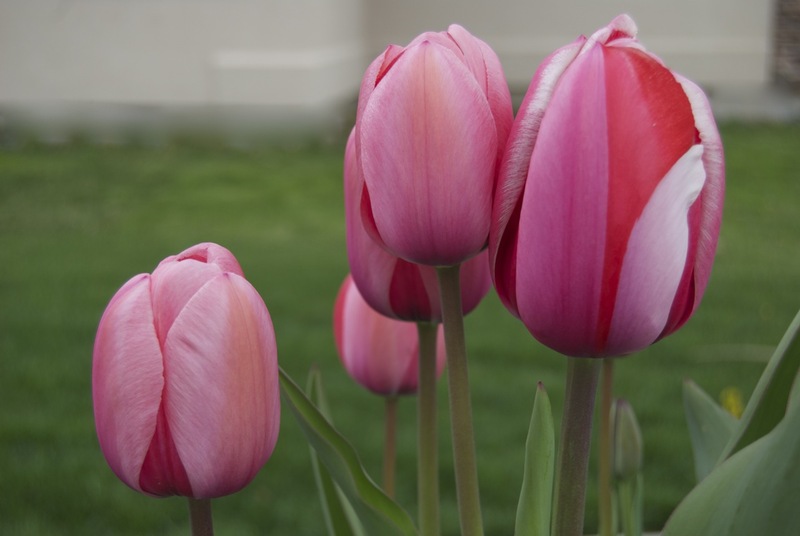 What are some of your favorite tulip and texture combinations? Have you ever been to Holland to see the tulips in bloom? 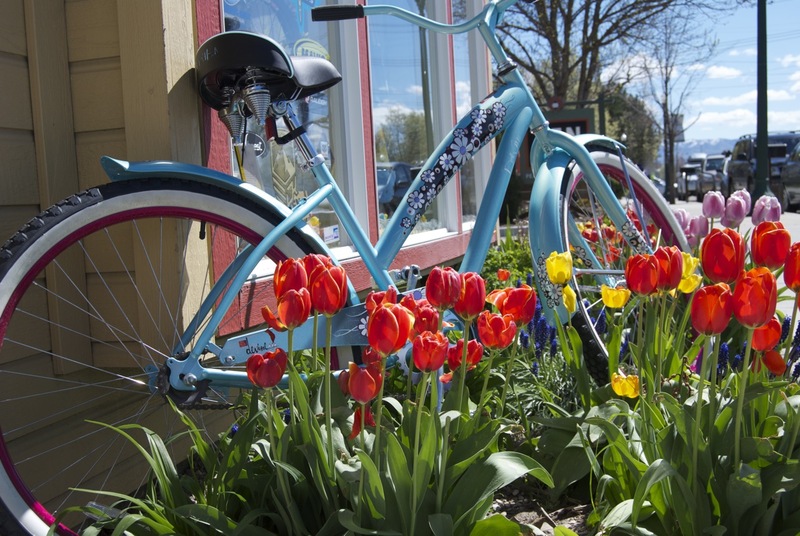 Have you been to a Tulip festival? What great pics…thanks for sharing! 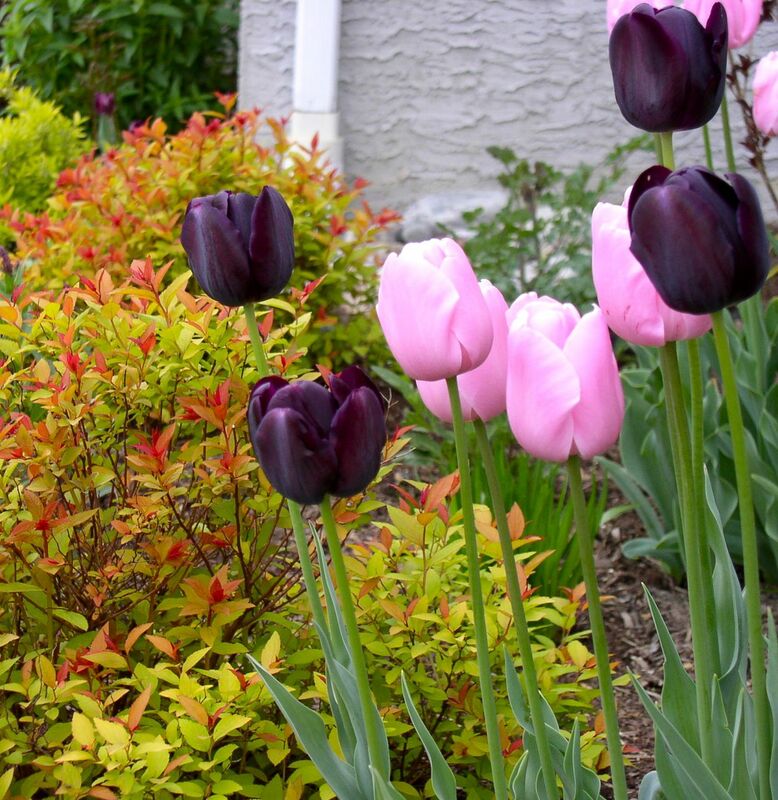 We need to add more color to our landscape and your pictures inspire!! I love tulips, daffodils, hyacinths and even those pesky little grape hyacinths that spread like wildfire. I can’t believe my flower garden on the east side of my house (compared to two weeks ago) looks so bright and colorful with the onset of apricot tulips, varigated irs leaves, and red barberry bushes showing their first leaves. And yes, scattered around…those pesky grape hyacinths that give a wonderful contrast to the more respected spring “dazzelers.” Tulips being the most poised and beautiful of all.